The Pub / Re: Kyrgyzstan is the happiest place in the world! If you're coming towards the northeast Willibrew (Willamantic Brew Pub) in CT just won best beer bar in America and I'd be happy to buy you a few rounds. NEB makes great beer and Rob's a fantastic guy (as is the brewer Matt). I just saw their new can labels a few days ago. 668 the neighbor of the beast and ghandi bot are hilarious (two upcoming seasonals in tall boy cans). Very cool that you got to meet both sam and jim. The Pub / Re: Resume? Weaze put it up on careerbuilder. I've gotten some quality hits from that and they seem to have more job listings than monster. All i've gotten from monster is spam, scams and aflac recruiters who won't leave me alone. 2. When did you start home brewing and why? Christmas gift from my parents after turning 21. I've always loved craft beer, and when i discovered i could make it myself i was hooked. 3. How has your idea of home brewing changed since you started? Initially i thought it was going to save me money. That will probably be true in the long run, but i'm happy to spend the money i do for the superior quality product. I can't brew Denny's VBIP fast enough to keep up with the demand of my friends and family. 4. Why should others who are interested in beer take up home brewing? At the very least you get more appreciation for the product. It's a fun hobby to have. Sharing homebrew with friends and family is pretty awesome too. 5. What are some good retailers (either shops or online) to purchase equipment/ingredients from and why? I've had good experiences with northernbrewer.com, morebeer.com and brewmasterswarehouse.com Get to know your local home brew shop if you have one. They're invaluable for when you inevitably need something immediately. 6. What kind of beer do you recommend for a first-time brewer? Any recipes that you can provide? Brew a style that you enjoy... but an ale not a lager. Morebeer and Northern Brewer have some excellent kits. Irish Red's, british bitters and pale ales are excellent for the inexperienced beer connoisseur. 7. What are some good resources for home brewers? Forums. I've learned almost everything I know about brewing from beer forums. There are also plenty of good books on the subject. Join a homebrew club if there is one in your area. 8. What is the number one mistake that new home brewers make? How can it be avoided? Not brewing a second batch immediately. The first batch goes very quickly once it's in the bottle. Lots of friends an family will be begging to try it. 9. How can the growing interest in home brewing best be explained? I would attribute it to the growing interest in craft beers. 10. How can a beginning brewer make the leap to intermediate or advanced brewing? Check out denny's cheap and easy method. All grain isn't all that difficult. If you can make mac and cheese you can brew beer. General Homebrew Discussion / Re: What's got two thumbs, and a job at a brewery? The public demands a commercially available skittlebrau! 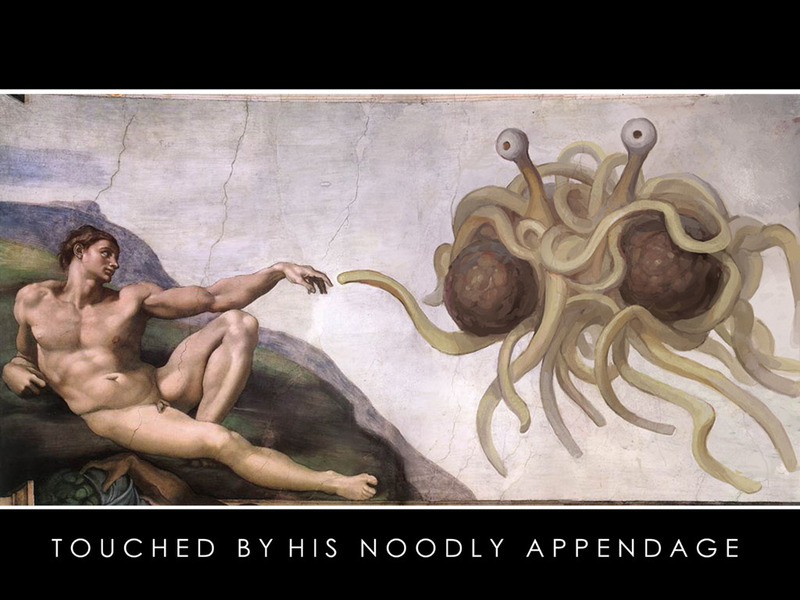 I am a devout pastafarian and therefore have no need to give things up during lent. In all serious though giving up beer is pretty harsh. Good luck on that. When I was catholic i pretty much never made it 40 days on giving anything up unless it was something I didn't care about. General Homebrew Discussion / Re: Worst oversight you've ever done! While brewing i generally try to get other things accomplished. Most of the time its get the next batch of beer started so I don't waste a lot of time. I tried to bottle wine once while brewing a double batch. I left the bottling buck spigot open from when i cleaned it. end result was about $100 worth of pinot grigio ended up on my kitchen floor. My house is over 100 years old and slopes very slightly. Most of that wine ended up going into the floor vent. New rule after that experience: always triple check to see the spigot is closed and never siphon into the bottling bucket without being there to watch it. General Homebrew Discussion / Re: freezer or fridge for temp control? fermentation, I have a chest freezer already for kegging. Not pretty, just four picnic taps but it does the job for the time being. 6/8/10 carboy capacity! I'll need to remember that when swmbo or the roomates think i'm addicted to brewing. I'm more worried about keeping the beer cold than I am about keeping it warm. Do you need a friend to shedsit when you go out of town? Ever consider adopting a 24 year old? College is already finished and paid for. Don't have any first hand experience, but they help you set up an internship with a brewery after you graduate iirc. very expensive, they charge more than double what NB/B3 charges for grain and most other items. The owners are knowledgeable, but the staff has given me very bad information on several occasions, i stick to forums now for info. Staff is often less than helpful, and never seem pleased. the clonebrew kit i tried was nothing like it was advertised and it was missing a hop addition. hours are odd, they change every day and aren't open most evenings. website is beyond out of date, prices listed there are drastically different, when holding the printout from the website they basically told me tough s*** the price is what its listed on the store not the website. service is excellent, owner always greets me with a smile, almost always gives me a discount just for being a loyal customer. price is comparable to online for wine kits. waiting for shipping, living in ct i generally order from nb which isn't bad, b3 takes longer as they are in CA. I'm all for supporting local business, especially those related to brewing but i have a hard time shopping at either. Shop 1 i vow to never go back to every time i walk out of there and get gouged on price. Shop 2 just doesn't stock most of the items I need. I'll go to shop 2 for all my wine making (i brew way more beer than wine) and for general equipment (carboys, siphons, brushes). He has mentioned that he will hopefully eventually stock grain, but I don't think that he has enough room. thanks guys, excited isn't the right word to use, but something like that. Being a bio/science nerd I'm pretty fascinated by it.